The swedish mechanic and inventor Willgodt Theophil Odhner was born in Westby, parish of Dalby in northern Wärmland province of Sweden, on 10 August, 1845, as the first born in the family of the forester and surveyor Theophil Dynamiel Odhner (1816-1863) and Fredrika Sofia Wall (1820-1874). Theophil suddenly died at the age of 46 leaving behind him a poverty stricken widow and five young children, with a sixth to arrive three months later. The Odhner's mother was a very intellectual and poetical woman, who struggled bravely to bring up her children in the midst of much poverty. Willgodt attended the school of Karlstad for two years in 1854-1856. After that he moved to Stockholm to work at the lamp store of his uncle Aron Odhner. 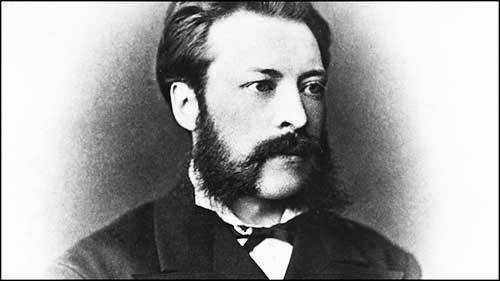 Soon he changed to a more challenging position as an employee of the instrument maker Georg Lyth. On 3 September, 1864, Willgodt Odhner matriculated at the Kungliga tekniska högskolan (the Royal Institute of Technology in Stockholm) to study practical mechanics and mechanical technology. Odhner was promoted to the third year’s class in 1866, but never finished his studies and left the school during spring of 1867. The financial situation in Sweden was quite bad in 1868 and it was difficult to find a job. Thus Odhner decided to try for his luck in St. Petersburg, Russia. He arrived to St. Petersburg by steamboat at the age of 23 without knowing a word of Russian language and having only 8 roubles with him. He arrived in Russia in the end of 1868 or in the beginning of the 1869. From the harbour Odhner walked to the Swedish consulate where secretary Damberg, who later became consul, arranged him a job at the small mechanical workshop of Macpherson at a salary of 1.1 rubles a day. After some months Odhner changed to work for his countryman Ludvig Nobel (Ludvig Nobel (1831-1888), one of the most prominent members of the Nobel family, was a remarkable engineer, a noted businessman and a humanitarian) in his machine factory on the recently started rifle conversion project. The time that Odhner worked for Ludvig Nobel was very important for Odhner’s later career. Nobel did not appreciate diplomas and final examinations and thus it did not matter that Odhner had not completed his studies. He advanced soon to be a foreman and chief foreman. In 1871 Willgodt married to Alma Skånberg (1853-1927) (later on they will have 8 children), but his life continued to be very difficult, because he writes: when the priest and musicians were paid at the wedding feast, my funds were so small that if my mother-in-law during the return trip had not given to me 10 roubles, we could not have eaten bread with our coffee on the following day. Even though Odhner was a technical genius, he clearly was not a very economic character and had difficulties in paying the expenses of his family and later also the salaries of his employees. Odhner started to design his arithmometer probably in 1874 and the prototype was finished at the end of 1875. It was not very easy to design a calculator at one’s scant spare time. ”To work from 7 in the morning to 8 in the evening is not very nice for a newly wed poor man having a young and beautiful wife”. Twelve or fourteen hours a day was a common workday in Russia, but Nobel reduced it to 10.5 hours but maybe somewhat later. Odhner’s first child Alexander was born 1873. 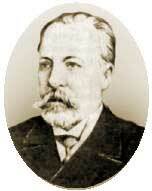 His mother had come to St. Petersburg to see the birth of her first grandchild and died there in 1874. The progress of Odhner’s efforts was reported in an article that appeared in the newspaper St. Petersburger Zeitung on 10th of September, 1875. After the agreement with his boss—Nobel, for starting the production of the machine in the factory, Odhner again met many difficulties, personal and official. The relations of Odhner with the directors of the factory were quite bad. Odhner had to make debt to finance his living. At this time he had two children to take care of, Alexander born 1873 and Alma born in 1877. Earlier in 1877, Emilia—the second child of Odhner died at the age of two years. The political and economical situation in Russia was not good, because in the same 1877 was opened a war between Turkey and Russia, so Nobel started to lose interest about the project for calculators. Thus Odhner started to ask for e new investor and he found it—as he writes I believe particularly energetic local businessman a certain Königsberger, on the condition that he takes the patents and pays all expenses and afterwards divides with me the future profits. However, it was not possible for me to get anything in cash. This would have been so welcome because I am now unemployed. And again a lot of problems—Karl Königsberger was a serious businessman, but his purpose as a merchant was thus not to produce anything, but to sell the invention as such. The first selling efforts after patenting the invention were directed to United States, where he had a business partner, but these were not successful. A representative of Königsberger succeeded in selling the licence to German company Grimme, Natalis & Co to produce Odhner calculators for Germany, Belgium and Switzerland, but that did not happen until 1892. Even though Nobel did not want to continue the production of calculating machines, he promised Odhner a special project at his factory but when he traveled away from St. Petersburg, his ”masters” hired another Swede to do that. Odhner believed though that with patience he would get a better job and hoped every day to obtain one. In May 1878 Odhner began his work at 'Экспедиции заготовления государственных бумаг', a factory for producing state papers and he will stay there for the following 14 years. In 1881, after 3 years of work, Odhner received a great golden medal for his innovations. In addition, Odhner was also highly esteemed in the hierarchy of the Expedition. Although he was officially registered as a master technician, he received the higher salary of an engineer. In 1886, the Expedition hired engineer Ivan Ivanovich Orlov, who developed a new printing press capable of producing multicolor images using only one printing plate. This new printing method was immediately implemented by the Expedition and Odhner was chosen as the producer of these and all later Orlovian presses to the Expedition. In 1882 Odhner started his own business to produce paper cut in special forms, together with his brother Sannfrid and an englishman, working in the Expedition. Odhner designed and constructed different paper-cutting devices for the job. It is not known what happened to the paper business after 1882, but evidently no great fortune was made with it. In the same 1882 Odhner constructed a turnstile for counting and controlling ticket sales, which was later widely used for passenger steam ships operating on the canals of St. Petersburg, and also in amusement parks. In 1887 Odhner was granted an official permission to open his own workshop, which will later on became W. T. Odhner factory in St. Petersburg. In the beginning, the only machine in the workshop was an old pedal-driven lathe and several workers. In 1889, a cousin of Odhner, engineer Valentin Odhner, who had graduated from Royal Institute of Technology in Stockholm, joined to the staff. Odhner's older son, Alexander, was the commercial assistant. In 1890, when the production of arithmometers began, the workshop had one 2 H.P. steam engine, the number of workers was 20, and the annual production value was 11000 roubles. Only 2 years later, in 1892, the workshop had one 4 H.P. petroleum motor, 20 various lathes, 25 workmen and 10 children and an annual production value of 30000 roubles. In 1890 Odhner took all the rights for his machine from Königsberger and was granted a new russian patent for an improved machine. The input was now read from the cover, not from the pinwheels and the clearing mechanism of the revolution register (counter) was better. Inside the calculator Odhner had added an extra pinion between the pinwheel and the number wheel. The pinwheel is also more compact than the previous version and resembles much Wertheimber's 1843 patent. The patents were also registered in France (Nr. 261806, 1890), Luxemburg (1890), Belgium (Nr. 91812, 1890), Sweden (Nr. 3264, 1890), Norway (Nr. 2117, 1890), Austria-Hungary (Nr. 45538, 1890), England (Nr. 13700, 1891), Germany (Nr. 64925, 1891) and Switzerland (Nr. 4578, 1892), USA (Nr. 514725, 1894). In 1893 the arithmometer was exhibited with success at the World's Columbian Exposition in Chicago. In the same 1890 Odhner started a powerful publicity campaign for his new calculator and mass production of the machine. The prices of 11 and 13-digit arithmometers were 75 and 100 roubles (100 roubles was a good month salary in this time). In Germany, the price of the Brunsviga was 300 marks, corresponding to 150 roubles. At the same time the price of a 16-digit Thomas arithmometer in St. Petersburg was 300 roubles, while a 16-digit Layton arithmometer (system Tate) cost as much as 800 roubles. 500 calculators were produced during the first two production years—1890-1891. Until 1895 were produced 1500 calculators. Two years later the number of the produced machines was 5000, and the machine started to receive international awards and medals on exhibitions. The production of Odhner type machines under different names in different countries continues as late as 1970s. 1892 was the year when Odhner finally quit his work at the Expedition and devoted his time entirely to his workshop. After 14 years in a secure position, this was a great change. More room was needed for growing production, but for that purpose capital was also required. Because Odhner did not have money, he took an Englishman, Frank Hill, as his partner and they founded Mechanical Factory of Odhner & Hill. The company of Odhner & Hill expanded swiftly. 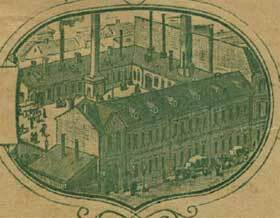 In 1893, the effect of the new factory building and other investments can be seen clearly—there were now 98 workers and two steam engines with a total capacity of 20 H.P., the annual value of production being 123000 roubles. In 1895 he decided to broke the partnership with Hill. The brief duration of this partnership suggests that Odhner was not a very co-operative person. In addition, his earlier projects with Ludvig Nobel and Karl Königsberger were also not very successful. In 1892, the production license of the improved 1890 version was sold to Grimme, Natalis & Co. in Braunschweig, Germany which chose the name Brunsviga for the calculator. The investment cost 10,000 German marks plus 10 marks royalty for each calculator sold. This was quite good income for Odhner even though source claims that Odhner sold the licenses too cheaply. When Grimme, Natalis & Co. also had to start their production from scratch, it is no wonder that the company did not pay any dividends in 1890-1903. The Brunsviga had a market success, until 1912 were produced and sold over 20000 machines, Brunsviga machine remained in production until 1958. The success of Brunsviga and all Odhner's type calculators due to its simple construction, reliability and reasonable price. The production palette of Odhner's factory varied and of the various products, one can mention cigarette machines designed by Odhner capable of producing 4000 cigarettes in an hour, Orlov printing presses, small mechanical precision instruments and castings of brass, aluminum and cast iron. In addition to these, other production included turnstiles for ships and amusement parks, control systems for trains, gramophones, and on the military side, sights, rangefinders and munitions cartridges for artillery. The bestseller of the Odhner's factory certainly was not the arithmometer, but the Orlov printing press (see the photo below). The production of the machine was gradually increased. Before the 1904-1905 Russo-Japanese war Odhner's factory received great orders from the Government, for fine machinery connected with guns. These orders made Odhner quite a wealthy man. Willgodt Odhner died on 2 September, 1903, from a heart illness. After Odhner's death his sons Alexander and Georg and son-in-law Karl Siewert continued the production and about 29000 calculators were made until the factory was forced to close down in 1918, and moved their operations to Sweden. The new Swedish company was named AB Original-Odhner, and a new factory was built in Gothenburg. In 1942 the company was bought by AB Åtvidabergs Industrier. Odhner´s calculator was popular around the world and was manufactured until the 1970s, when cheap and simple electronic mini-calculators came onto the market.